Alexis Davis returned to the win column on Saturday night while also handing former Invicta FC contender Cindy Dandois a loss in her UFC debut. Dandois was an interesting acquisition by the UFC after she made waves at both bantamweight and featherweight, which included a win over current Invicta featherweight champion Megan Anderson. 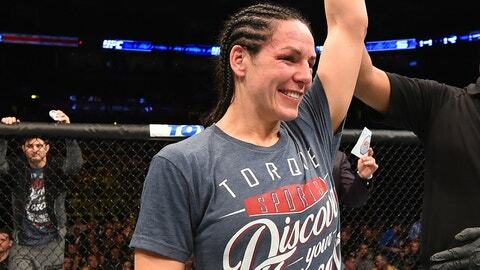 However, the UFC did Dandois no favors by giving her Davis as a debut opponent considering the Canadian has faced a laundry list of top opponents throughout her career, including bouts against Amanda Nunes and Ronda Rousey. As soon as the fight started, Dandois got Davis to the ground following a quick exchange on the feet as the judo black belt looked to maintain control on top. Unfortunately for Dandois, Davis is a very accomplished grappler and she worked out of the position with an armbar attempt that resulted in the former title challenger ending up in mount, raining down punches. Dandois did a good job getting out of the bad position, but Davis was constantly throwing submissions at her, including a couple of heel hooks before the round came to an end. The second round saw Davis concentrate more on her striking while Dandois continued to search for the takedown, but she came up short on a head and arm throw that nearly backfired on her. 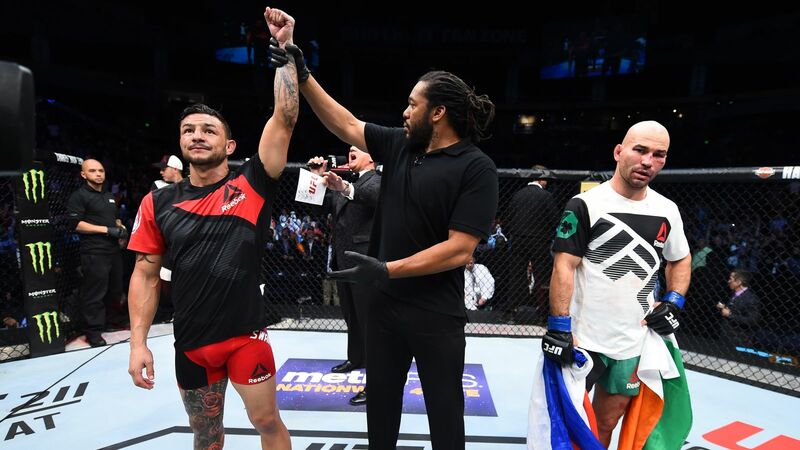 While the striking wasn’t ultra impressive from either fighter, Davis seemed to land the better strikes, but Dandois came back with a takedown just before the end of a very close round. Dandois was able to get a couple more takedowns in the final five minutes of the fight, but she could never maintain any sort of control as Davis was constantly able to work her way off the bottom to get back to the feet. With time ticking away in the third round, Dandois got one more takedown, but this time Davis immediately kicked up her legs to wrap up a triangle choke with just seconds remaining. Dandois survived until the final horn, but Davis likely locked up the win with another submission attempt on the ground. All three judges saw the fight the same way with 29-28 scores in favor of Davis, who gets back in the win column following a submission loss to Sara McMann last year. As for Dandois, she drops her first fight in the UFC but could still test the waters at 145-pounds, where she’s competed for a big part of her career as the promotion continues to explore more bouts in the featherweight division this year.